Stay on top of the latest UVM research, get to know our teacher-scholars, step inside thought-provoking courses, and see views from across campus. 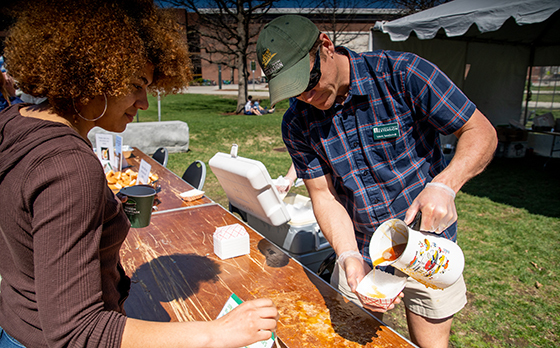 At UVM, the housing experience takes place in Learning Communities, built around a common theme, faculty engagement, and events. Assistant Professor Steve Kostell talks with student Brayden Button '22 about the experience of learning where you live.